Miami Dolphins quarterback Ryan Tannehill's comeback campaign took a hit as he continues to deal with a nagging right shoulder injury. It was the next man up for the Dolphins, and that happen​ed to be Brock Osweiler. The journeyman signal caller has started three games this season and will ​make his fourth consecutive start this weekend against the New York Jets. Crazy enough, Osweiler thinks there's a chance he keeps the starter's job once Tannehill is medically cleared. "I think your mentality in this league is when you get your opportunity to play, you never give that guy his job back," Osweiler said on Wednesday, via the Orlando Sun-Sentinel. "That needs to be the mentality, and if that’s not your mentality, then you’re just in the wrong business. That’s nothing personal against anybody, but if you don’t have that competitive spirit, this isn’t the league for you." While you have to admire Osweiler's competitive attitude, it's hard to see him continue to start once Tannehill is healthy. For start's Osweiler's statistics show that he's a serviceable backup at best. While he completed 64.1 percent of his passes for 895 yards, six touchdowns, three interceptions, and a 93.8 passer rating, there are still throws that leave Osweiler's arm that are downright ugly and put the team in jeopardy. This was clearly evident in his performance against the Houston Texans. Regardless of the improved numbers, this is still Tannehill's team. The Dolphins organization will want to see how Tannehill plays this season, as they have a ton of money invested in him. That, and Miami could possibly go after a new quarterback next offseason, whether it's in free agency or in the NFL Draft. 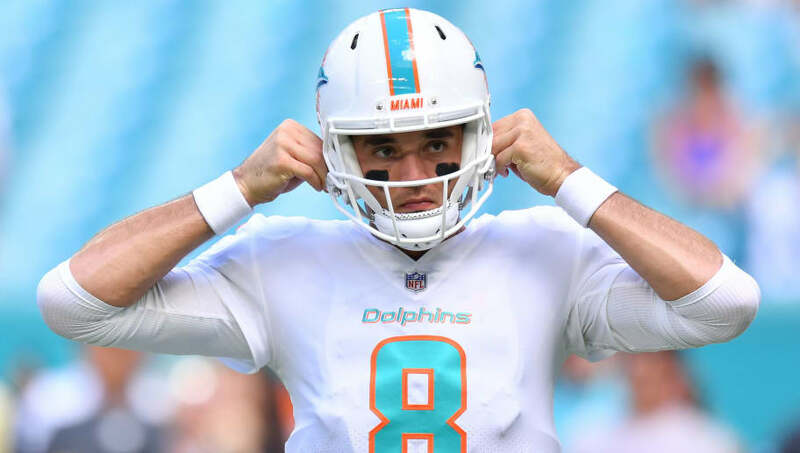 While Osweiler continues to maintain this confident demeanor, it's highly unlikely that he will continue to lead the Dolphins once Tannehill returns, regardless of his performance this upcoming weekend.